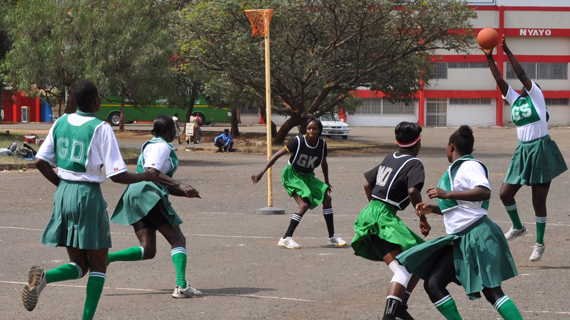 InformAfrica – Kenya sports fraternity can celebrate as the men’s and women’s teams emerged victorious at the Africa Senior Netball Club Championships that ended on Thursday afternoon in Accra, Ghana. East and Central Africa men’s champions Kenya Prisons and Ministry of Information and Communications each collected four points by winning all the fixtures in a tournament played on league basis to lift the continental titles at the Accra Sports Stadium, Ohene Djan Table Tennis Court. Both clubs making their debuts at the continental stage booked tickets to represent Africa in the World Championships to be staged in Kingston, Jamaica, next year. Kenya Prisons thrashed Ghana’s Victory Stars 33-10 to seal the deal and secure the coveted trophy before a partisan crowd cheering the home team. Kenya Prison’s Desmond Owili bagged the highest number of goals by scoring 20 with Victory’s Vanderpuye Jephath managing eight for the losers top scorer. In their first match the Kenyan warders overrun Western Ghana 50-18 to stay on course of lifting the title. In the women’s category, MOIC managed an emphatic 65-13 victory over Ghana’s Diamond Hands with the Kenyan attacker Linah Tarus scoring the most goals by bagging 36 with their rival’s forward Francisca Benepy managing eight. In their oppening match the Kenyan club posted a resounding 86-9 over Ghana’s Golden Stars. Ministry of Information and Communication (MOIC) Permanent Secretary Bitange Ndemo pledged that if the team won the continental title it will be sponsored to go and contest in the World Championships to be hosted in Kingston, Jamaica. Kenya Prisons chairperson Wanini Keriri congratulated the team for the exemplary performance and doing the country proud adding that their eyes were now trained on the World championships. She thanked the Commissioner for Prisons Josiah Osugo for the support he accorded the team. In the men’s category Victory Stars settled for the second place by beating Western Ghana 27-22 in all Ghana affair. Ekpe Rockson was on target 17 times for the victors the same as Julius Oduro for the losers. In the women’s category, Diamond Hands were placed second after blanking compatriots Golden Stars 33-25. Diamond Hands’s Vida Sarpomaa was highest scorer in the match by bagging 20 goals with with Abanyin Ernestina of Golden Stars scoring 15 goals.